So many now believe in fish oil's nutritional assets that as many as 1 in 5 people take a fish oil supplement. 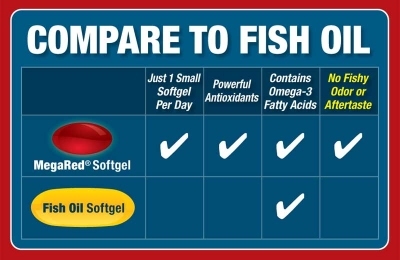 Fish oil is so admired it seems to overshadow another great source of omega-3 fatty acids: krill oil. Recent research provides a reason to take another look at these small crustaceans. Krill oil and fish oil both contain omega-3 fatty acids; however in fish oil the EPA and DHA are found in the form of triglycerides. In krill oil, they are mainly in the form of phospholipids.